Writers focus on BOOKS—period. They can go on writing for years without ever having heard the word “chapbook,” one of those specialty words that every writer and reader should know, because it has both practical purposes and special qualities. Speaking of practicality, chapbooks are a charmingly effective way for poets to organize their hoards of poetry by theme or by time-frame. Many “major” poetry books are of poems sectioned according to which “minor” collection they originally belonged in. This contributes to the charm of chapbooks and bolsters their value as early editions of poets’ work. Furthermore, publishing costs through chapbook publishers are remarkably reasonable considering the quality—hundreds less than standard book publishers; perhaps thousands less if one is not expecting a thousand books. There are a few very low-cost chapbook publishers, but I don’t recommend that route for anyone. I can only assume that they use standard copy paper and manage to take enough shortcuts to make a not-so-impressive presentation. Finally, chapbooks have a “made with love” quality that is a must for poetry. It makes them more gift-suitable than standard books as they appear to be hand-made as opposed to machine-made. They are printed in very small runs, monitored closely for perfect alignment. They are folded and stapled individually, and then trimmed a few at a time. Overall presentation is very crafty. Chapbooks have been made for hundreds of years, and they do seem to be arriving in fashion among poets as they educate themselves on the benefits of publishing via chapbook publishers. Layout from a bird’s eye view has been one of my fortes in life, from landscaping to interior design to page design. As a maker of chapbooks I have realized and worked within what I would consider “the standard” for some time now, and I am anxious to play with design a bit more. Fortunately, today’s experimental style of poetry allows for this, so if you seek unique presentation, let your words speak not just to the ears, but to the eyes. Chapbooks are generally no larger than 5.5” across x 8.5” down and, depending on the printer’s print capabilities, they are often smaller. What’s your preference? Keep it in mind as you mentally fill pages. Shorter lines and shorter poems allow more design creativity. Haiku poems work great for flexibility, as do poems with just a few syllables per line. Extreme variations in line length or poems with one or two very long lines will throw the margins way over to the sides of the page. It is to be avoided as the white space looks forced rather than creative. Spaces that set thoughts out like distant clouds allow “zen space” (as one of my current clients puts it). Love it. You may provide your own design with compatible files that can be pasted to each page. If it’s creative and unique, then I would be glad to package it. Better yet (from my perspective), bring your words to me in a standard format but give me license to step outside—perhaps way outside—“the standard” so your words may be multi-sensory in an engaging sort of way. Getting poetry published can be, quite literally, a hands-on experience for those who have time to acquaint themselves with the various elements that work together in chapbook-making, and for those who have the inclination to apply do-it-yourself projects. For the rest of the world, there are plenty of chapbook publishers on the Internet (and of course I recommend Middle Island Press). Below are five tips for making perfect chapbooks. These five were preceded by another five (make that six) in my article, 5 Tips on How to Make Perfect Chapbooks. 1) It’s no place for sweaty palms. This can be a problem for those who are nervous or obsessive over what they are doing. With practice come speed, confidence, and the disappearance of sweaty hands. Until then (if it applies), keep a napkin on hand to press moisture from hands and fingers as necessary, or get up and wash your hands. If you do not, the result could otherwise be warped pages at the edges where they are handled. 2) Set your printer to the specific type of paper. If it knows what to expect, pages will be more likely to print perfectly straight. If you fold and staple firstly and then trim following cutting guides on the cover and it is not perfectly straight, then your entire book will look like a parallelogram instead of a perfect rectangle. Unacceptable. 3) Print at the highest possible quality. Particularly with covers and chapbooks with images or designs, it is important to print at the “best” or “maximum dpi” setting. You will then be much less likely to see faint lines running through your images, particularly in solid areas. Furthermore, commercial-grade printing should be standard when making chapbooks. 4) Press after stapling but before trimming. This is a necessity for perfect edges upon trimming. For pressing, I stack my chapbooks between large, clean hardcover books and then place a very heavy object squarely on top. If you don’t have a small anvil in your house, then a few bricks would do just fine. 5) Create custom margins for each page. Yes, it’s time consuming as many steps are, and while a consistent margin is…well…consistent, it also looks entirely unimpressive when dealing with anything other than justified margins for prose. Still have sweaty palms? Getting poetry published need not be a stressful undertaking. Publish your poetry through Middle Island Press and let us take care of your words for you, quickly, kindly and perfectly. We at Middle Island Press are proud to be one of the best chapbook publishers on the Internet. •	Short Stories – Depending on their length, several or a small handful of short stories can fit snugly into a chapbook. These “clusters” can, in due time, become sections of full-sized books much in the same way that full-sized poetry books are often sectioned according to a poet’s various formal collections. •	Columns or articles – Newspaper or magazine columnists would benefit personally or professionally by gathering their contributions in chapbook form, perhaps divided by year if publications are weekly (and assuming that one column can fit on one page which might necessitate double columns in layout). 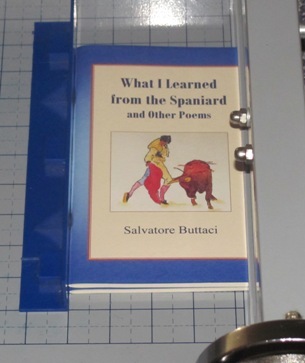 •	Recipes – Though the spiral-bound booklets are common for recipes, the pages loosen and tear out easily in time, making the chapbook a promising alternative vehicle that was commonly used a hundred years ago for trading kitchen secrets. •	Essays – Written by poets as well as anyone who has an opinion to share or information to disseminate quickly, the chapbook is the perfect vehicle for this type of literature. Collections of short essays or a post-graduate university thesis would fill a chapbook beautifully. 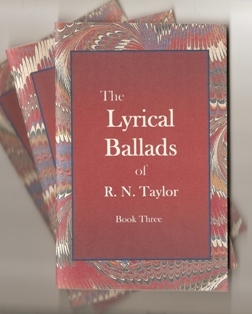 •	Poetry – Certainly the most common use of chapbooks today is for poetry. It is the right personal touch, the made-with-love quaintness that is suitable for treasured from-the-heart poetic lines. As mentioned above, poetry chapbooks become “sections” of full-sized collections. Of course, possibilities abound beyond these five, extending into images and anything that the mind can dream into the space of chapbooks, so writers need not hesitate to take advantage of the plethora of possibilities. Middle Island Press is proud to be one of the best chapbook publishers east of the Mississippi. Though there are many elements that contribute to professional-looking chapbooks, there is one that I (the eyes and hands of Middle Island Press) am particularly proud to employ, and that is trimming. Many micro-publishers don’t do it. This is evident whenever I walk into bookstores and have a browse at the chapbook racks. What I usually see is 8.5 x 11 sheets of paper folded in half and stapled. The top and bottom edges are usually haphazardly edging toward being flushed, and gutter creep is evident on thicker chapbooks. These problems are rectified by both horizontal and vertical cuts done by an industrial-quality cutter. Where craftsmen sometimes differ from one another in making chapbooks is in basic practice. Some make horizontal cuts before folding and stapling, and others (like myself) don’t make any cuts until chapbooks have been folded, stapled, and tightly pressed. My way results in an overall flushness that rivals in quality with actual books. On thicker chapbooks, however, tiny fissures can occur when making all cuts the final process, and this is more likely to be noticeable with glossy covers. That is one reason why I prefer standard 110-lb cover stock. It is sturdy and smooth and does the job better than the more commonly used 90-lb cover stock. Of those micro-publishers who make horizontal cuts before stapling, the problem is in the likelihood that one half of the chapbook (either front or back) will be ever so slightly off in size. Usually about a millimeter, but I notice it and would rather see a millimeter-sized fissure in an inner corner than a millimeter-sized cut discrepancy. One looks careless, and the other (if it does happen) looks unavoidable. In that, it is my opinion that professional-looking chapbooks require careful trimming: the right finishing touch that can be both seen and felt before a chapbook is even opened. Some people still look disparagingly upon chapbooks despite their widespread acceptance today. Chapbooks are tainted with a history of having emerged from the dregs beneath literary propriety. They have delivered (among all else) subversive literature of a persuasive nature for centuries, and they are a convenient medium for people to get their opinions into the hands of the public without being censored by the common dogmatic watchdogs of publishing. The very word chapbook has been kicked down, stepped on, and dragged through the mud. Despite this underground sort of reputation, chapbooks have risen to a fine craft and are gaining respectability. Credit for this shift in opinion goes to things such as heightened awareness of the gifts to society that chapbooks have become. Despite the dingy history, it is increasingly known that very notable literary figures embraced the chapbook as a means to deliver their words to the masses: William Shakespeare, James Joyce, and T.S. Eliot, to name a few. Furthermore, the clean precision of print technology has led to professional-looking little books that can rival with big-name publishers in quality. Chapbook publishers and those who self-publish can usually afford several sheets of paper as opposed to folding and cutting a single sheet for maximum pages per sheet (as was standard before extravagance became the norm, and they certainly would have resembled a kindergarten project at times). Printed chapbooks also look far more professional (in the sense of published words for marketing) than does penmanship on folded sheets of paper, so it is without guilt that writers can charge book prices for their little literary gems. There is also a more artful presentation gaining momentum that is raising the bar of chapbooks. For a fortunate artistic few with a lot of time on hand, chapbooks are presented as a fine craft akin to advanced scrap-booking, complete with fabric, ribbons and lace, and multi-dimensional covers that command prominent display (and higher price tags). As chapbook publishers come into contact with improving standards of other publishers, quality should continue to escalate until such a time that there should be no disparity between a European-made chapbook and an American-made chapbook. Having said that, let chapbooks bloom in full color, let them be trimmed to the golden ratio, and let the rest be considered little more than stapled literature.